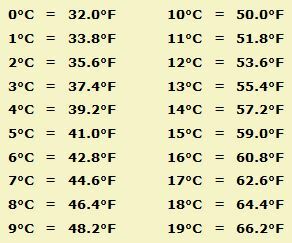 On the temperature conversion page, I mention that the first formula was the easiest to remember. And, many people aren't initially sure of how or why it works. So, here's some insight to help you see it differently. In a survey, a majority of pharmacy tech students polled say they prefer this equation most to memorize for doing temp conversions. So, let's take a closer look and see why this works and how to use it. 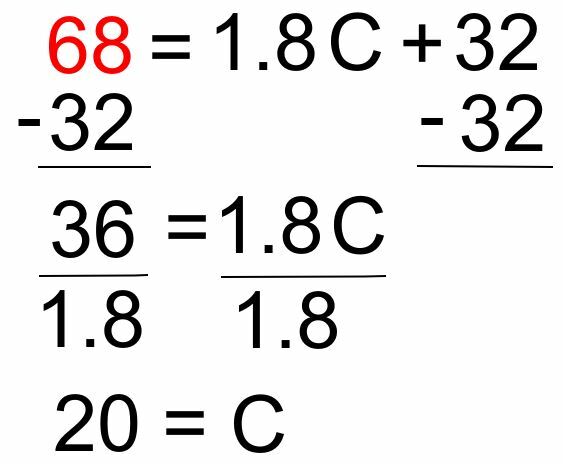 Because of these two factors is why 1.8C and +32 are on the Celsius side of the equation. Think of it as the exchange compensation needed for Celsius to "catch-up" to Fahrenheit. In Algebra, it's called a linear function. Let's say you need to convert 10°C to Fahrenheit. Let's say you need to convert 68°F to Celsius.